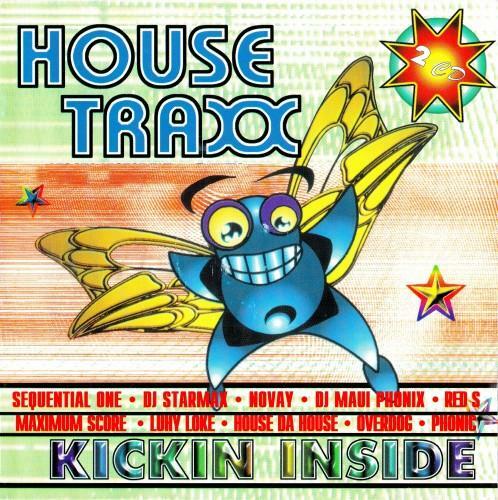 "House Traxx - Kickin Inside CD1: (01:08:12)"
Нажмите чтобы закрыть спойлер: "House Traxx - Kickin Inside CD1: (01:08:12)"
REM GENRE "Trance, Progressive Trance"
TITLE "House Traxx - Kickin Inside (1998) CD1"
TITLE "The Sound Of Mallorca (Riu Palace Club Mix)"
PERFORMER "DJ Teeno presents The Riu Palace Project"
TITLE "Extensions Of Eternity (Club Mix)"
TITLE "Dreaming Of You (Club Edit)"
TITLE "Red 5 Jumps (Extended Mix)"
TITLE "Yah K.K. (Original Mix)"
TITLE "DJ Pump It Up (6 Mix)"
PERFORMER "Coma B. feat. Clubnatives"
TITLE "Free Your Mind (Vibro-Dwarfs 12' Mix)"
TITLE "Harddrummer (Kosmonova Meets Bossi Mix)"
TITLE "Take Me To The Top (Maxi-Star Edit)"
TITLE "Take You Higher (Original Version)"
PERFORMER "Nu-NRG feat. DJ C.R.I.Z." TITLE "Like A Work (Work Mix)"
TITLE "That's How We Do It (Klubb Synth Mix)"
"House Traxx - Kickin Inside CD2: (01:04:50)"
Нажмите чтобы закрыть спойлер: "House Traxx - Kickin Inside CD2: (01:04:50)"
TITLE "House Traxx - Kickin Inside (1998) CD2"
TITLE "I Want Somebody (X-tended Edit)"
TITLE "I'm In Love With You"
TITLE "Oh, What A Life (Meltdown Mix)"
TITLE "It's Not Over (12 Inch Mix)"
TITLE "Rockin' Your Body (Remix)"
TITLE "I'm Gay (Solid Sleep Mix)"
TITLE "1000 Miles (7'11 Miles Mix)"
TITLE "Move Your Feet (Long Edit)"
TITLE "I Am A Houseman"